Schedule a tour to experience P.O.P. Preschool and K! 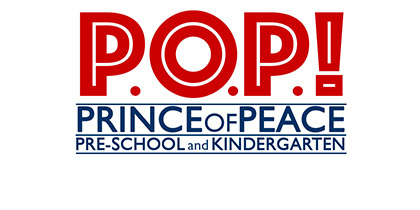 Our preschool has been a ministry of Prince of Peace Lutheran Church since 2006. We provide a quality education in a Christian environment for children ages 2 through kindergarten! We are licensed by the state of Georgia and use the complete ABEKA curriculum in all our classrooms. We offer exciting learning activities, enrichment classes on Fridays and weekly chapel on Wednesdays in a peaceful facility with a low teacher to student ratio. We would love to welcome you to our family! We offer a variety of class options depending on age and the number of days you wish your child to attend. Open registration begins March 1st and a non-refundable registration fee is due at the time of registration. First day of school (2019-2020) is September 3, 2019. Our school operates on a similar calendar as the Douglas County School System with the exception of the first and last days of school, Good Friday, half days and makeup days for bad weather. A school calendar of closures and special events is listed in the Parent Handbook provided at Parent Orientation. For rates please call Ms. Debbie at 770-823-4618. All employees are CPR and first aid certified, trained in fire safety and attend at least 10 hours of continuing education each year. We have classes for 2, 3 and 4 year olds and a kindergarten class. The kindergarten class serves as a private kindergarten class for 5 & 6 year olds and is good fit for children who have completed a 4s class and are ready for kindergarten level work, but whose birthday is past the cut off date for public school. Prince of Peace uses the ABEKA Curriculum in all classrooms. Its focus is the Bible, which is the foundation of all learning, and daily lessons focus on reading, phonics, mathematics, science, health, language and history. Each child is provided with their own set of workbooks to use in class. Enrichment programs are included in tuition and are comprised of gymnastics, music, art, chapel, The Reptile Wrangler and various community helpers during the year. The entire school participates in Chapel on Wednesday mornings led by Pastor George. The children love to bring their offerings to help support a Lutheran children's ministry in India. We also offer afterschool Dance classes in Ballet, Tap & Hip-Hop through Dance Academy West (at an additional fee). We have two shaded playgrounds for exercise and gross motor development. All equipment is closely monitored for damage and playgrounds are regularly inspected to assure safety. For more information or to schedule a tour please contact our Director, Ms. Debbie.